The Calgary Musicians Association is a professional association comprised of over 700 musicians throughout Southern Alberta and the Columbia Valley of British Columbia. It is dedicated to establishing and maintaining professional standards, ethics and fees in the music industry. In addition to providing collective strength to establish and maintain these standards, we work with and for our members to provide a host of services and benefits useful in their careers. The members run the Association and every two years they elect an Executive Committee of their fellow musicians to oversee the operation. The members also establish the local Bylaws and Tariff of Minimum Fees annually. Federation Bylaws are set every three years by local delegates to the International Convention. The Association is affiliated with the American Federation of Musicians of the United States and Canada, with the head office of the Canadian Federation of Musicians (CFM) in Toronto. Founded in 1896, the American Federation of Musicians of the United States and Canada (AFM) is the largest organization in the world dedicated to representing the interests of professional musicians. 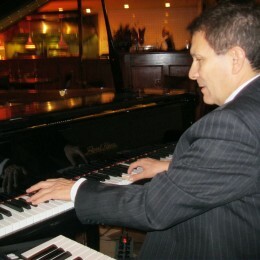 With more than 90,000 members, the AFM represents all types of professional musicians, including those who record music for sound recordings, film scores, videogames, radio, television and commercial announcements, as well as perform music of every genre in every sort of venue from small jazz clubs to symphony orchestra halls to major stadiums. Whether negotiating fair agreements, protecting ownership of recorded music, securing benefits such as health care and pension, or lobbying legislators, the AFM is committed to raising industry standards /and placing the professional musician in the foreground of the cultural landscape.